Los Angeles-based MediaAlpha, a developer of programmatic advertising software, said today that it is expanding into the European market. The firm said it has opened up a London office, and hired on Robert Goldsmith as Director of Demand Partnerships as part of its efforts in Europe. Goldsmith was previously a Sales Director at KAYAK. MediaAlpha said Goldsmith will lead its travel industry initiatives across Europe. 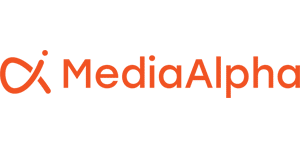 MediaAlpha said the value of media transacted through its platforms in 2017 was worth $250M. MediaAlpha’s co-founder and CEO is Steve Yi. This article originally appeared in SoCalTech.com, provides up to date news and information about high tech companies in Southern California, including interviews, a calendar of local events, and a database of technology firms in the region.